THEN AND NOW: What's different between these 1932, 2017 NYC solar eclipse photos? 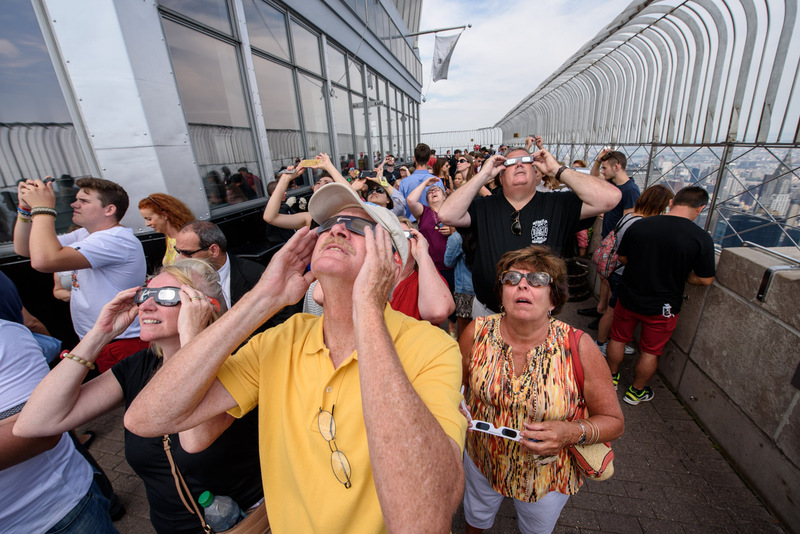 NEW YORK (WABC) -- Since its opening in 1931, the Empire State Building has been one of New York City's go-to places when it comes to experiencing significant environmental events like the solar eclipse. 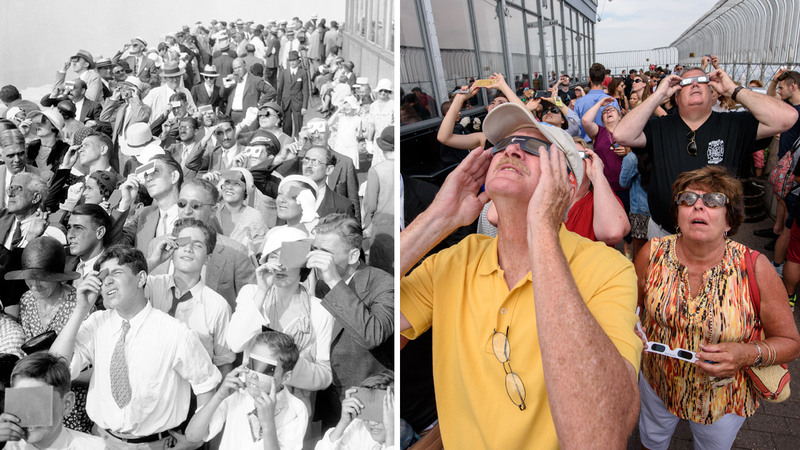 For Monday's eclipse, we wanted to see how eclipse watchers on the building's 86th floor observation deck might have changed over time. So we put a photo from a 1932 partial eclipse side-by-side with a similar one from this year. The photo from the solar event on August 31, 1932, shows a mix of people, mostly dressed up in ties and dresses. They're also using a mix of filters that appear to allow them to see the sun (hopefully safely). This was the first eclipse since the building's opening the prior year. 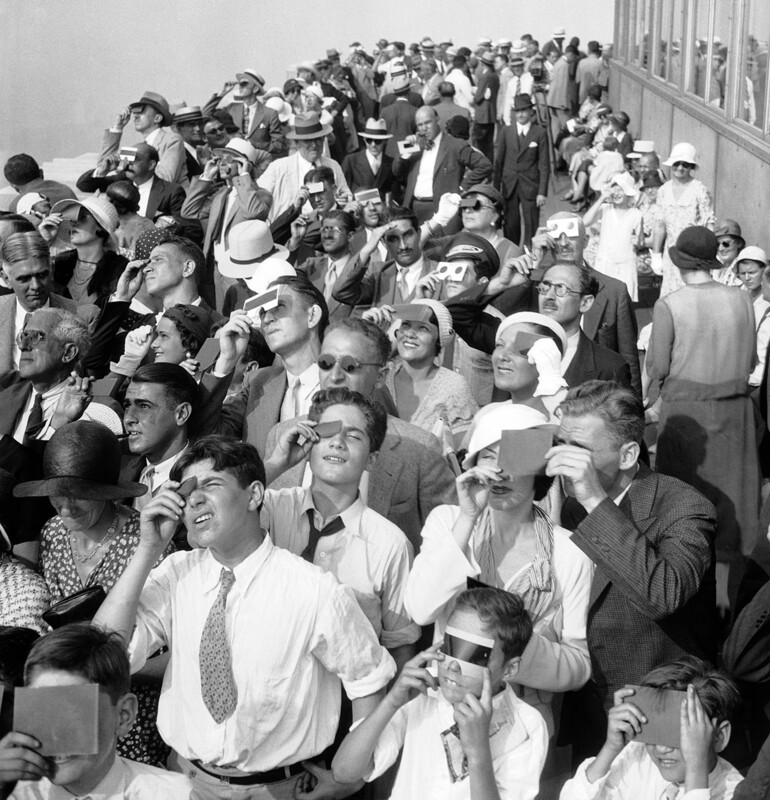 Eclipse watchers squint through protective film as they view a partial eclipse of the sun from the top deck of New York's Empire State Building Aug. 31, 1932. Notice two things that are missing? Cameras and cellphones. Now, fast forward nearly 85 years later to August 21, 2017. The dress for an event like a total eclipse is a bit more casual, and the most jarring difference is how people are efforting ways to capture the event with cameras and portable electronic devices. The protective glasses appear to be a bit more uniform, too. 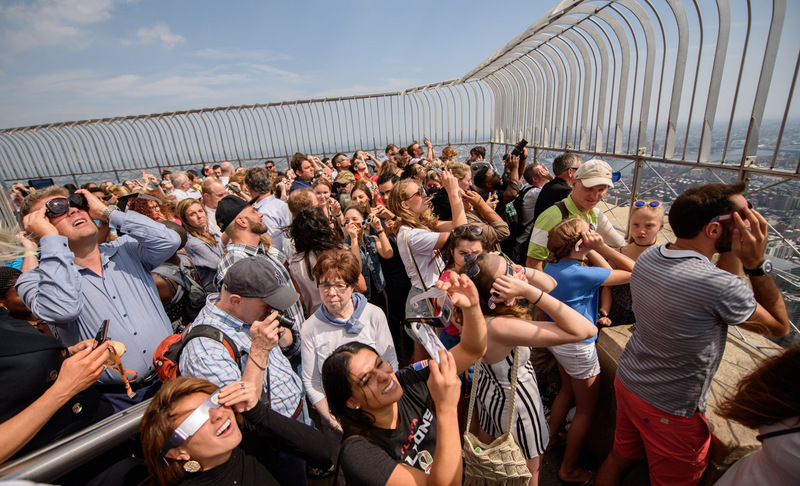 Dozens of people watched the 2017 solar eclipse from the 86th floor of the Empire State Building on Aug. 21, 2017. The crowd is a little less dense in the modern photo, but that's mostly due to the size of the crowd at the time. What other differences do you spot in the then/now photos? Tell us in the comment section below.